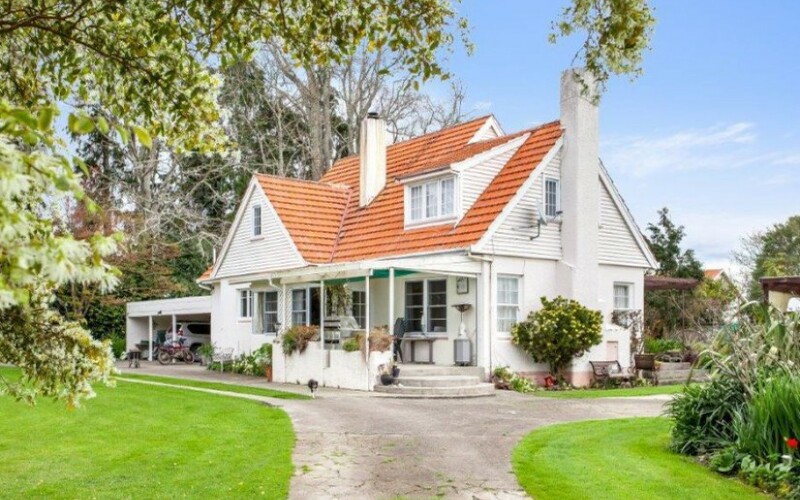 An Opouriao Valley, Whakatane dairy farm, in the same family for 122 years, is for sale. Stewart, Malcolm and Neil Reid took over the farm in 1960. Fifty-eight years later they have brought in Phil Goldsmith of PGG Wrightson Real Estate, Whakatane to market the property their great-aunt, Jessie Morrison, drew in a ballot in 1896. Phil Goldsmith says it is an excellent farm. 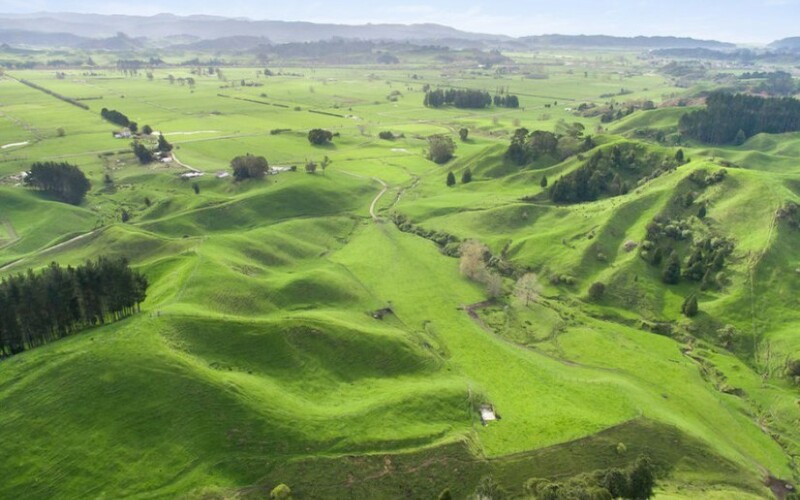 “Opouriao Valley, three kilometres south of Taneatua, is traditionally a productive dairying area, with hill country used for sheep, cattle and deer. This property has been in the careful stewardship of the Reid and Morrison family for four generations. Its best annual production is 200,000 kilograms of milksolids from 500 cows,” he says. Neil Reid says the first generation of the family came to New Zealand in 1874. “On their way here the ship our great-grandparents William and Margaret Morrison were in was becalmed in the Indian Ocean for six weeks, so it took six months to reach New Zealand from the Highlands of Scotland. Eight hours after they landed in Lyttelton, our grandmother Barbara was born. Our great aunt Jessie was born three years later. “William worked on Tekapo Station for nine years before coming north to Opouriao in 1883. After he arrived, he worked as head shepherd for Captain Ferguson, the owner of the Whakatane Cattle Company. William, Margaret and their daughters lived in the only house in Taneatua, in what is now Morrison Street,” says Neil. From about 1875, cattle were the initial focus for farming in the valley, as the Whakatane Cattle Company provided beef to Auckland. In 1896, to open up settlement, the government purchased Whakatane Cattle Station to subdivide and ballot, says Neil. “Lots were offered as perpetuity leases, which could later be freeholded. Our great-aunt Jessie Morrison drew out what is now our home farm, which at that time was 56 hectares. Our father Morris Reid bought it from Jessie in 1930. “In the meantime, in 1885, our grandfather Walter Reid came to Opouriao from Ngahinepouri, Waikato, aged 19, to work as a ploughman. He married Barbara Morrison, our grandmother. When the ballot was undertaken, William Morrison drew a property two farms away from our home farm, which he gave to his daughter Barbara and her husband Walter Reid. This is where our father Morris Reid was born,” says Neil. Those early settler families faced some major challenges. “After land was balloted in 1896, farming methods didn’t change much at first, except everything was on a smaller scale. Maize was the main crop. It was plucked by hand and stored in cribs to dry. Shelling by hand was an evening job for the whole family. Hand-operated shelling machines came on the market later. “Only a few years into the fledgling settlement, mother nature doled out several unseasonal frosts as a Christmas present, first in 1898, then again in 1900. Every settler with a decent crop of maize was ruined. Blackened stalks filled every paddock and there was nothing left. Only those who had cows had any income during those years. “A community meeting was held and those present decided to build the Opouriao Cheese Factory. It opened in 1900, which is how dairying came about in the valley. In its first season, the factory paid 7 1/2d per pound of butterfat, while the cheese was shipped to Auckland,” he says. 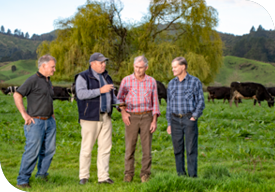 With its rich soil and drought-proof summers, Neil says Opouriao Valley is well suited to dairy production. “Between Awahou Road and Reids Road, I have never seen the paddocks brown off in summer. With average annual rainfall about 1600 millimetres, and soils needing very little fertiliser, from the early Twentieth Century dairying flourished, though bloat was a problem in the early dairy herds,” he said. In those days, river crossings were another hazard. “Floods would isolate farms for days at a time, and several local families lost members, who drowned trying to cross swollen rivers. In 1913, a bridge was built over the Waimana River to Taneatua, which largely solved the problem,” says Neil. As well as farming the property during the era, Neil’s grandfather Walter Reid was active in public affairs. “He was chairman of many local organisations, including the Whakatane County Council for 28 years, hence the naming of Reids Road and Reids Memorial Grove on the road to Whakatane,” says Neil. Walter and Barbara’s son Morris Reid farmed the property he was born and brought up on until 1930, when he bought his aunt Jessie Morrison’s farm, where Morris’s three sons now farm. After Neil and his brothers took over the farm in 1960, they gradually expanded, buying neighbouring farms as they came available, increasing the property from 56 to 260 hectares. “We have always worked well together as brothers, with our different roles on the farm, though always shared the milking. Stewart is an excellent mechanic and a good welder, so has always looked after the machinery; Malcolm runs the drystock on the hills; and I do the buying and selling, and make most of the decisions. We have always lived in different areas of the farm and socialise in different circles, which also helps. “In 1975 we fenced 70 hectares for deer, running up to 1100 head of deer. They went well on grass silage. We also ran 300 sheep and 120 white face steers over one winter, and 360 milking cows, plus replacements. We stopped farming the sheep and deer in 2005, since then we have run up to 500 milking and replacement cows, plus steers,” says Neil. For the past 15 years Stewart, Malcolm and Neil have been semi-retired and LJ Dutoit, Stewart’s son-in-law, has managed the farm, along with two labour units. Phil Goldsmith says its scale and versatility give the property strong appeal. “Its current use and past history, including dairy, dairy support, sheep, beef and deer, show that this is a farm with plenty of options. For example, it could easily revert to deer under new ownership. Meanwhile, the soil types, excellent fertility and good balance of flat and hill paddocks, underline the versatility the property offers. “Its Eastern Bay of Plenty location, with easy proximity to sea fishing, surfing, Te Urewera National Park, Lake Rotoma and the other Rotorua lakes, and trout fishing in the Waimana River, provide an additional level of appeal. “Improvements match the property’s quality. A 44 a-side herringbone cowshed is the productive heart of the farm, adjacent to a nine metre circular main yard, plus supplementary yard space. It is fenced into 131 paddocks, has a 25 metre bore, and is linked to spring water on the hill block. It also has several dwellings for farm managers and share milkers,” he says. Neil says the time to sell has come. “Being a partnership of three brothers, each of us in our 70s, the farm needs to be sold while we are all still here. Selling would be less important if it was held in single ownership. Doing it now is the right thing for the family and for the farm,” he said.